Every single organization is searching for ways to increase performance and engagement—ideally without blowing up the company and starting from scratch. But how can you do it? We know the answer. But it’s easy to overlook, because we expect the solution to such a crucial problem to be complex, theoretical, difficult. Instead it’s deceptively simple. If you want to increase performance and engagement, you don’t need to get bogged down in extensive lists of competencies, or convoluted cascades of goals, or rigid feedback systems. What you need to do is ensure that team leaders have frequent one-to-one check-ins with their team members about near-term future work. It really is that simple. Once a week, each team member meets with the team leader so he or she can course correct or coach or tweak to make the team member more productive. We’ve done research on many different organizations, and the data patterns are all the same: add in weekly check-ins, with a tool built for usage, and you see wonderful and immediate increases in engagement. 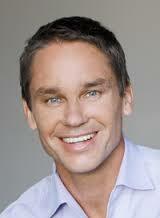 Watch this short video to get to know Marcus Buckingham better. We are thrilled to announce that Marcus Buckingham, the world’s leading expert on strengths and employee engagement, will be joining us again for the 2017 Global Leadership Summit. Here’s a quick look at Marcus’ brand new work in the field of performance management. Marcus Buckingham (GLS 2017, 2007, 2004) is a best-selling author and founder of The Marcus Buckingham Company. He is the world’s leading authority on strengths, performance and engagement, founded The Marcus Buckingham Company following 30 years at Gallup. He is the best-selling author of multiple books, including Now, Discover Your Strengths. A Summit favorite, Buckingham will challenge everyone to rethink their vital leadership function of performance management—based on his latest multi-year research, recently featured in Harvard Business Review. This post originally appeared on The Marcus Buckingham Company website here.